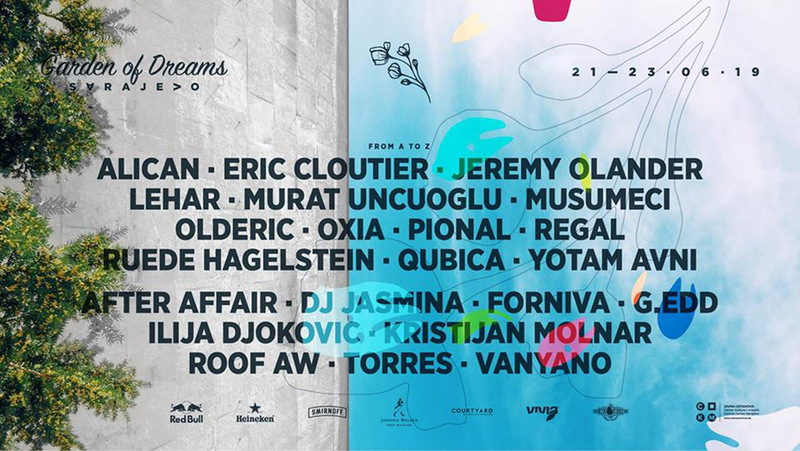 Garden of Dreams Festival is envisioned as a three day festival of audio - visual art. The main goal is to gather the best electronic music artists in the world in Sarajevo. Festival starts on June 21 at 10 p.m. and it will last until June 23. Festival is conceived as a three-day festival of audio-visual art, which will be held in three main locations: the Historical Museum of Bosnia and Herzegovina, the Youth Center and the plateau below the repetitor at Hum. The festival will have four main musical pieces that will take place during the day and night. On the first day, a night party will be held at the Youth Hostel, on the second day the festival will be open at full capacity day and night, while on Sunday will be held a daily closing party in the magical garden of the Historical Museum of BiH.